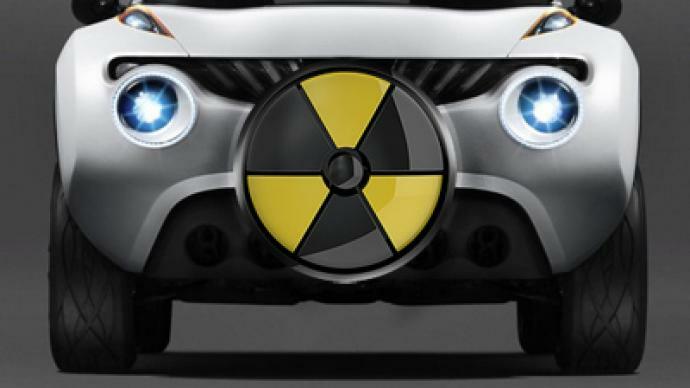 The Fukushima nuclear crisis has sent the motor industry into turmoil. Officials say all Japanese vehicles are thoroughly checked for radiation before shipment, but reports suggest that contaminated cars could still find their way into the market. ­Alla Belaya, a car owner from Odessa, has been contemplating changing her car for months. A fan of Japanese vehicles, she wanted to upgrade her off-roader to a newer model. But her car-dealing friend said it was not the right time. “I was told privately that all new Japanese cars are radioactive, because of the Fukushima disaster. The shipment was supposedly blocked by the authorities at Odessa’s harbor, but unofficial dealers bribed them and got these cars onto the streets. He said if I want to have babies in the future, I should abstain from buying a car like that now,” says Alla Belaya. Ilyichyovsk harbor, a port in Southern Ukraine, receives 80,000 new cars a month and at least a third of them come from Japan. The off-roaders RT found in the harbor were shipped in before the Fukushima disaster in Japan. And even they were checked for radiation. Authorities claim there is absolutely no chance of contaminated vehicles making their way onto Ukrainian territory. Officials at the port laughed off the question whether there had been any contaminated cars at the harbor after the Japanese fallout. “These cars arrive to us transiting through Greek and Turkish ports. If anything was wrong, it would have been spotted there in the first place. But we still double-check all vehicles for any biological threat,” said Viktoria Marchenko, the press-secretary for Ilyichyovsk harbor customs. However, ecologists say these checks may not be enough to determine radiation. “Radioactive particles are very small and can disperse all around a vehicle,” says ecologist Maksim Shingarkin. “They can be found in filters, radiators, inside small parts. 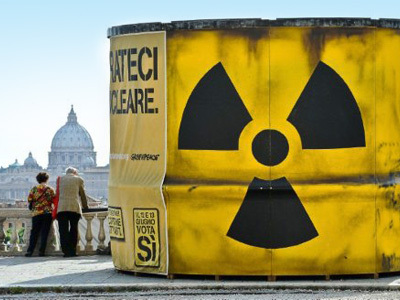 That is why it is very difficult to detect them with regular Geiger counters at the disposal of the customs units." Besides, if everything were all right with the cars, then why would car dealers – both official and not – firmly refuse to comment on the allegations? Experts say this is because they are protecting their business. Moreover, the sale of contaminated steel is not something new for Ukraine. 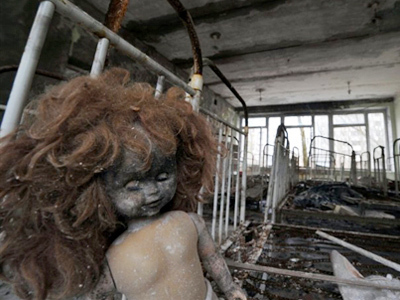 Scavengers stealing contaminated radiators from the ghost town of Pripyat were witnessed inside the Chernobyl exclusion zone several years ago. One such radiator costs around 20 dollars on the black market; tens of thousands have been removed from the zone. “This contaminated metal can be recycled and used for anything: from rails to vehicles, without losing its radioactivity. But usually, it is used for making industrial pipes. And Ukraine is known as one of the leaders in pipe production. So it is a multi-billion dollar business,” adds ecologist Shingarkin. 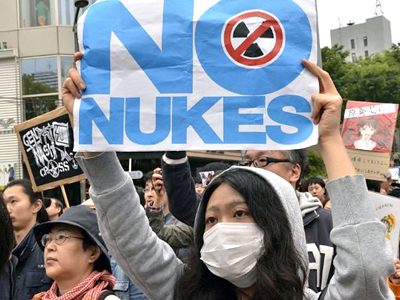 Radioactive particles may be small, but they are still gravely dangerous. 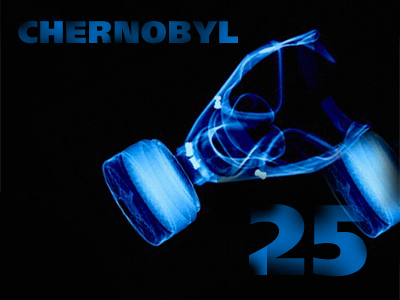 A person subjected to them for a lengthy period can experience various lung diseases, and even cancer. So if the temptation to buy a new Japanese car is too hard to resist, experts advise turning to professionals to check whether it is safe.